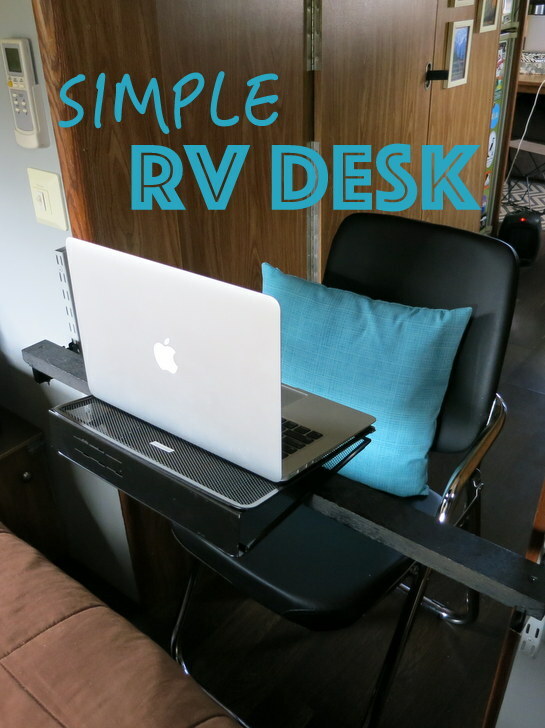 Need a desk in your RV? 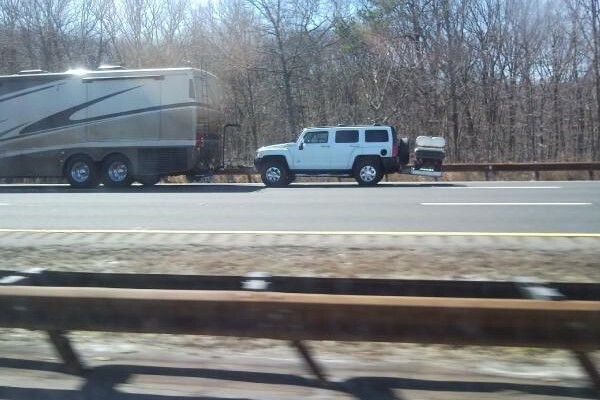 Don't think you have enough space? Think again! Anyone can find room for this super simple DIY RV Desk. 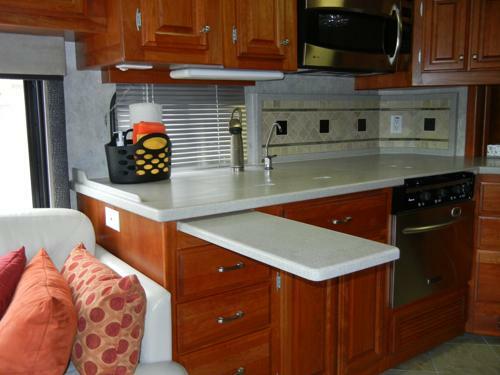 The RV industry is slowly coming around to the idea that many owners want a desk space in their RV. 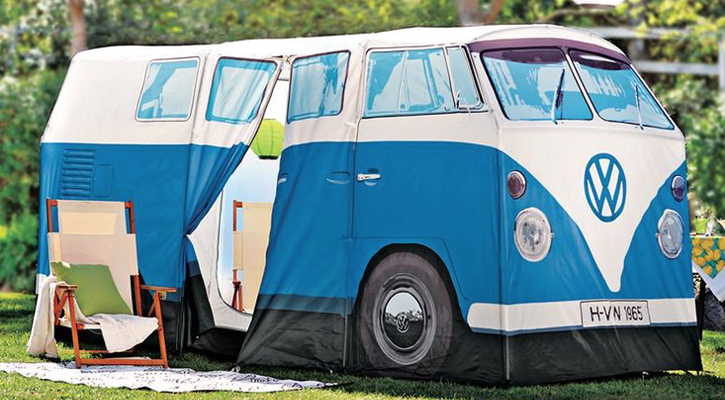 With more people living full-time in their RVs, and the population of working age full-time RVers exploding, it only makes sense that RV designs evolve to incorporate space for a built in desk or office area. 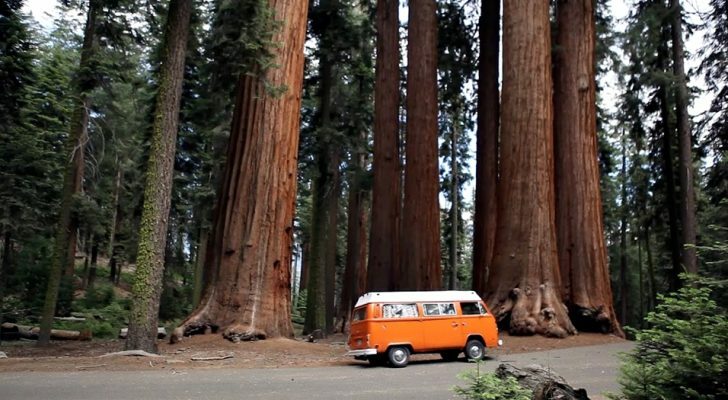 But that change is coming slowly, and if you have an older RV there is virtually no chance that your RV came with a built-in desk space. Which is why many people are turning to DIY RV desks. From custom designed desks that require removing and reconfiguring existing furniture, to simple setups that turn your dinette into a functioning desk area, the possibilities for RV desks are endless. 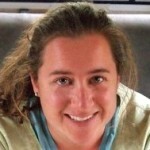 Our full-time RV household consists of two people who both need a desk space for work. Since our small 25′ Airstream only has one table (and who wants to share?) 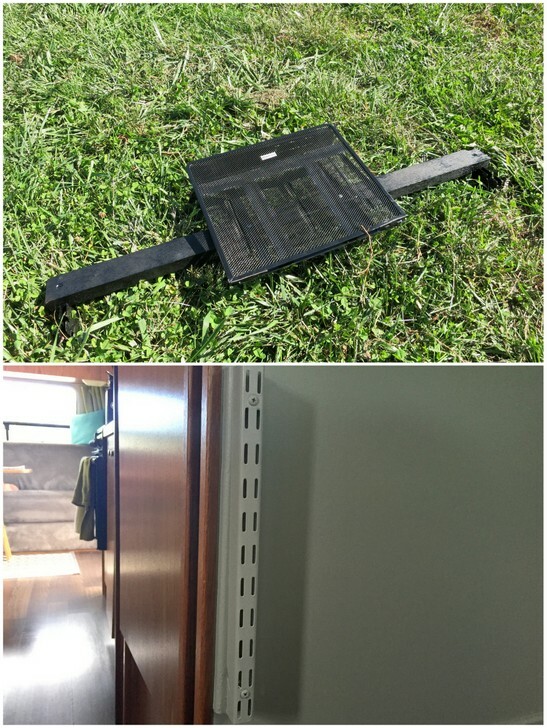 we solved the space issue by coming up with this super simple, super cheap, DIY RV desk. 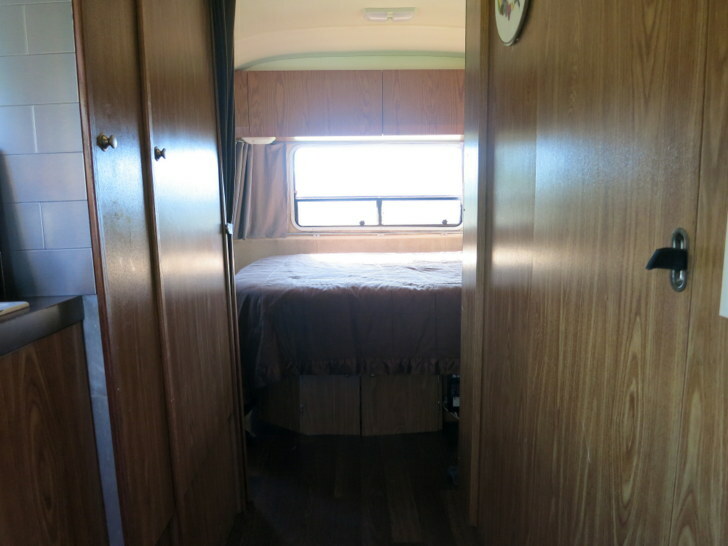 Not only was it simple and cheap to make – we spent under $100 – but it also allowed us to add a desk area without making any major changes to the existing layout of the RV. 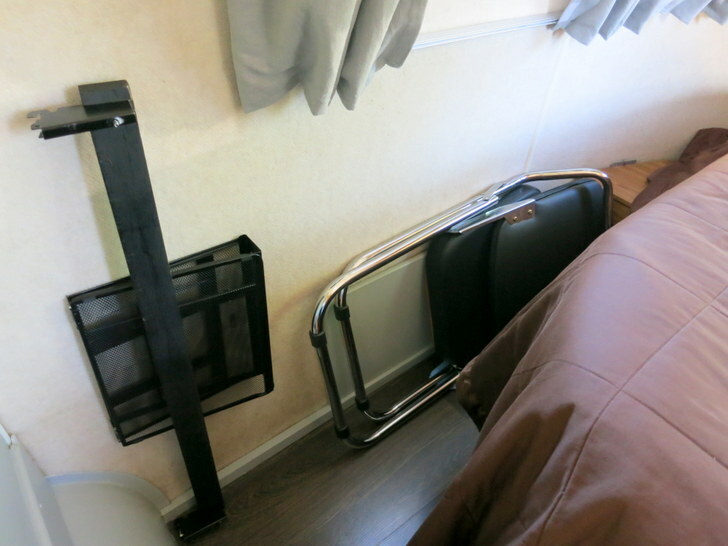 When not in use, we simply lift the bar off the wall, fold up the chair, and store both at the end of the bed. Pretty clever if I do say so myself. 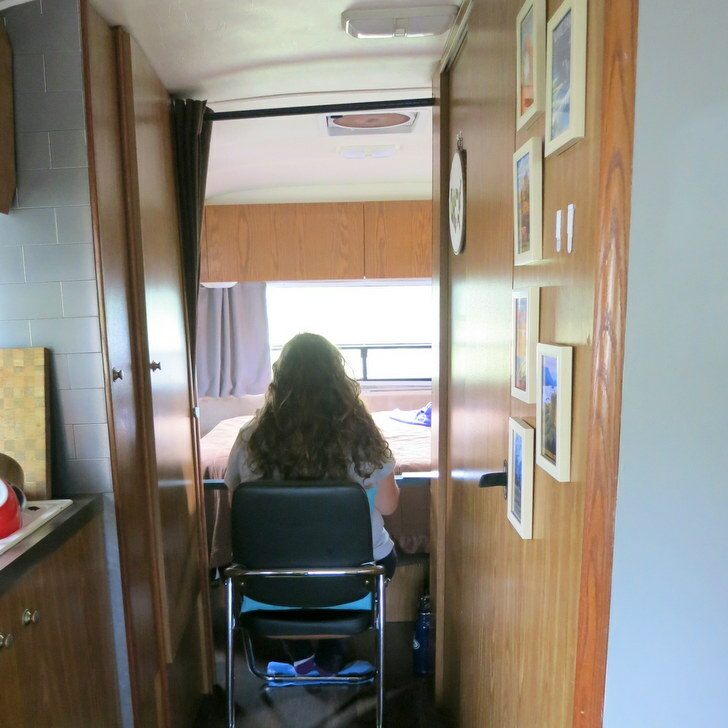 For those of you looking for a simple, affordable way to add a desk in your RV, here are the step-by-step instructions for this easy DIY project. 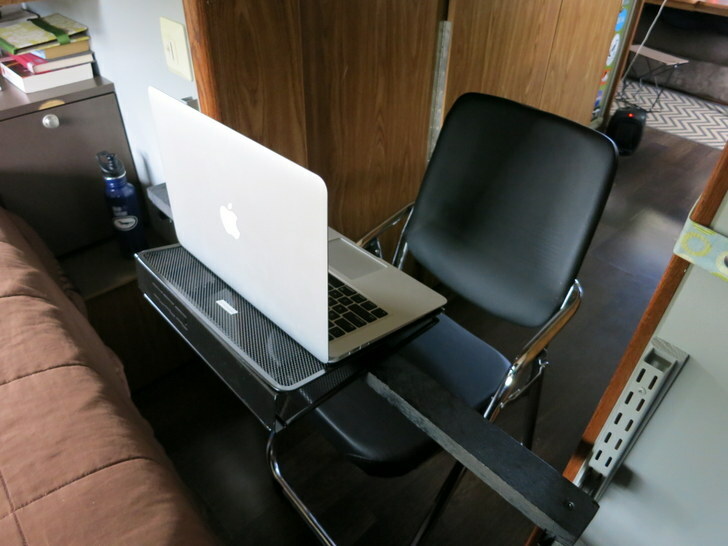 The very best spot for this DIY RV desk is a hallway that is wide enough to comfortably fit a chair. Remember that the desk is removable when not in use, so it’s okay if this is an area that you need to pass through (although you might not want to block access to a frequently used place like the bathroom). In our RV, the hallway leading into the bedroom was the best choice. 2 Adjustable Metal Shelf Mount Brackets – the 12” length is ideal so you can move the desk up and down depending on who is using it. 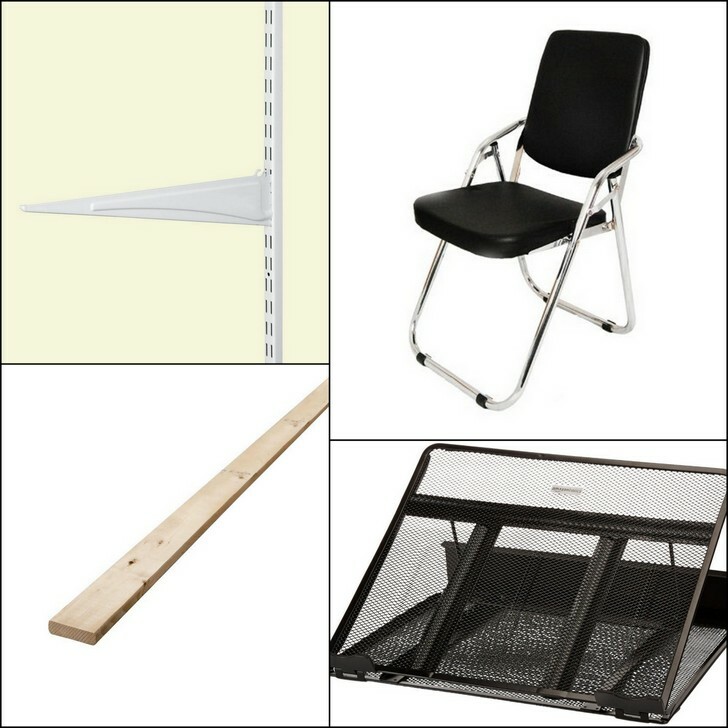 1 Folding Chair – any chair that fits your space will do. 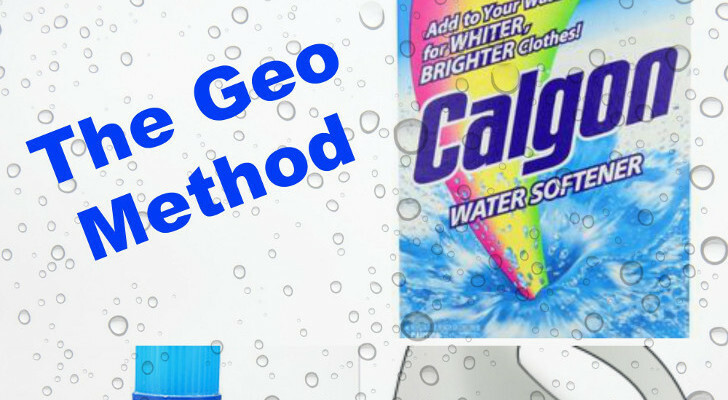 If you want to splurge for the ultimate comfort and a bit of style check out this one. 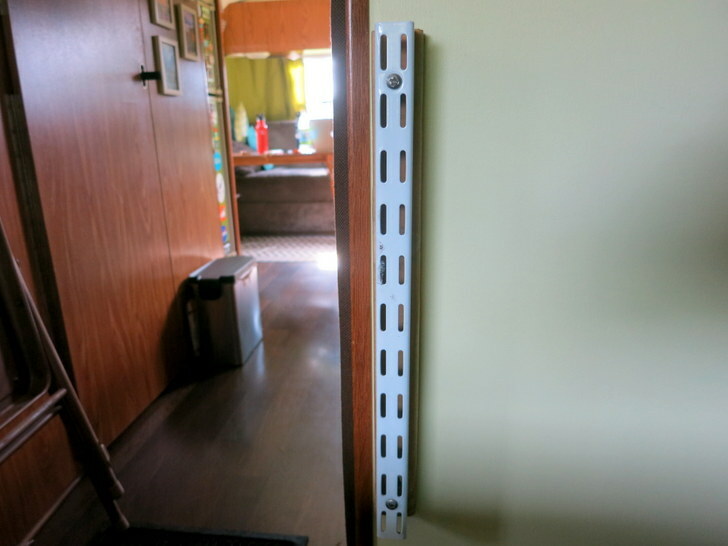 Screw the adjustable metal shelf mount brackets into the wall on either side of the hallway. 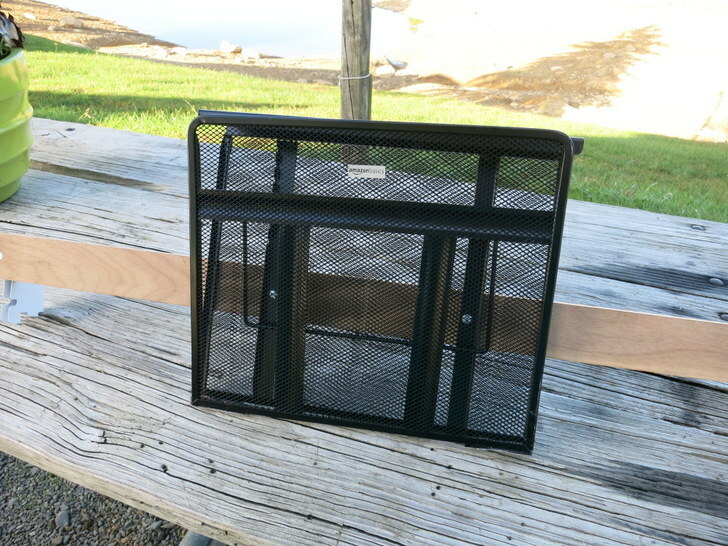 We used a 2” wide piece of wood just big enough to hold the laptop stand. If you want a bigger desk that can hold additional items, simply choose a wider piece of wood. 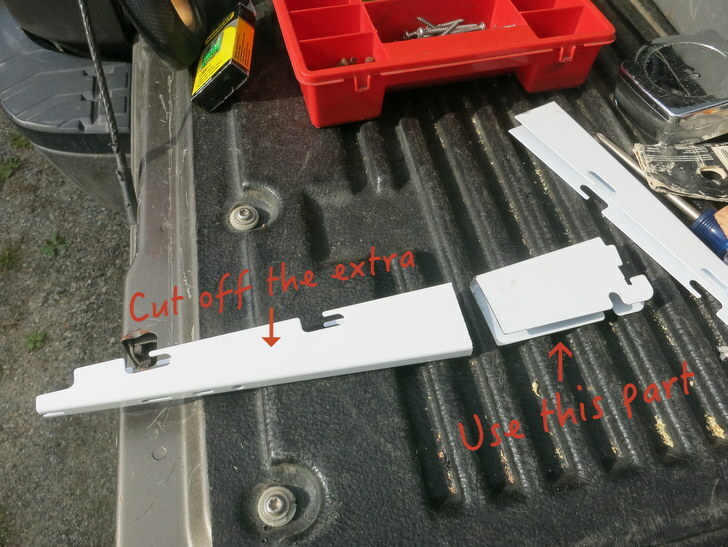 First cut the metal shelf brackets to the same width as the piece of wood so they don’t stick out beyond the desk. Next cut two slats in the wood for the metal bracket to slide into. Pre-drill holes in the wood and attach the metal brackets using appropriately sized screws. 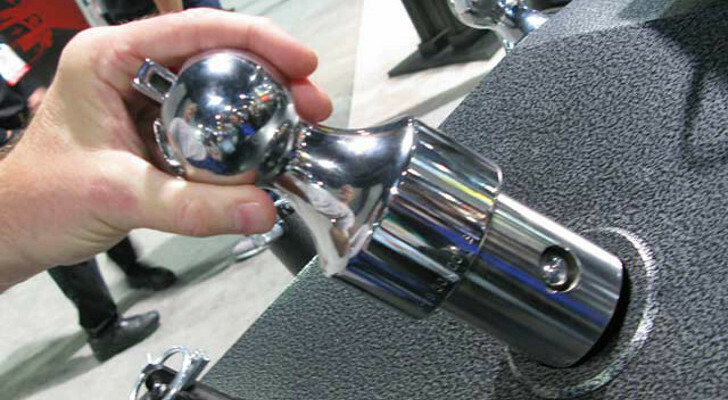 Secure the bottom with a nut. Repeat on the other side. 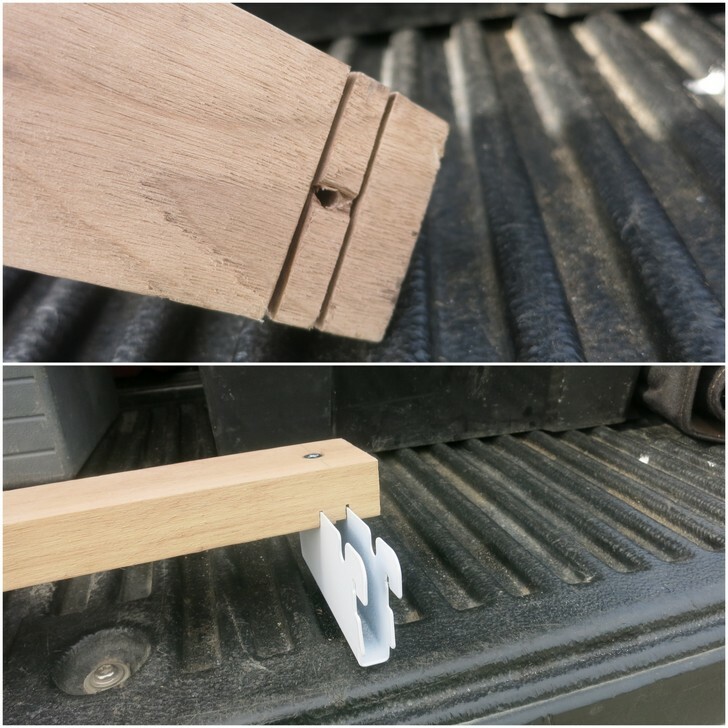 Attach the laptop stand to the wood with two short screws. We gave our new desk a finished look with some black spay paint to match the already black laptop stand. We also painted the shelf mount brackets to match the wall color. Slip the desk onto the wall at the desired height, pull up your chair, and give it a try. I love my new RV desk. It’s great to finally have a space of my own where I can work without distractions. The best part is that we didn’t have to do any major renovations, or spend a lot of money, to make it happen. 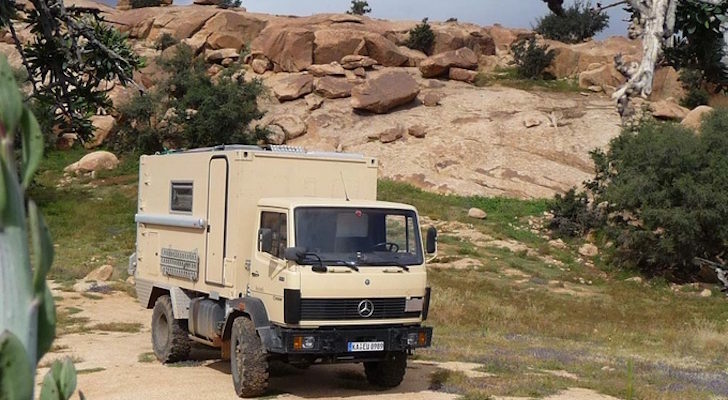 It just goes to prove that with a little ingenuity and some basic DIY skills, any RV can be customized to fit your needs. 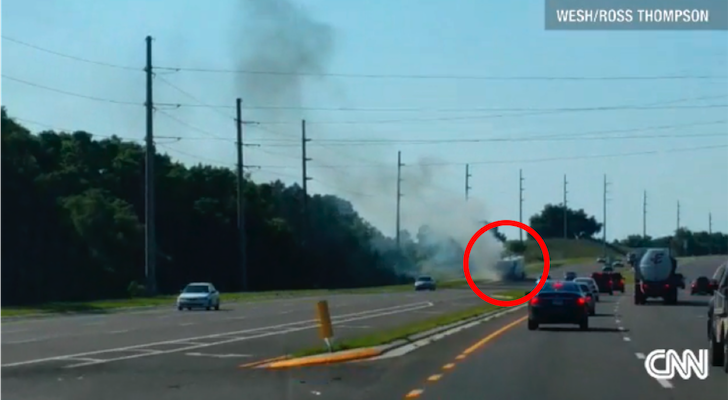 All photos courtesy of Amanda Watson.